The India Skills Report 2019 said that around 70 per cent of the youth face problem due to lack of professional guidance in finding desirable jobs that worth their skills. Andhra Pradesh is one of the preferred hiring destinations in India. The employability levels of B.Tech/B.E have increased across all the sectors, touching a new high of 63.11 per cent, which remained at 42.08 last year. However, the employability levels of MBA and polytechnic stand low between 47.18 per cent and 45.90 per cent. Despite the lack of renowned institutions like IITs/IIMs, the growth trend can be seen in tier II and tier III cities. 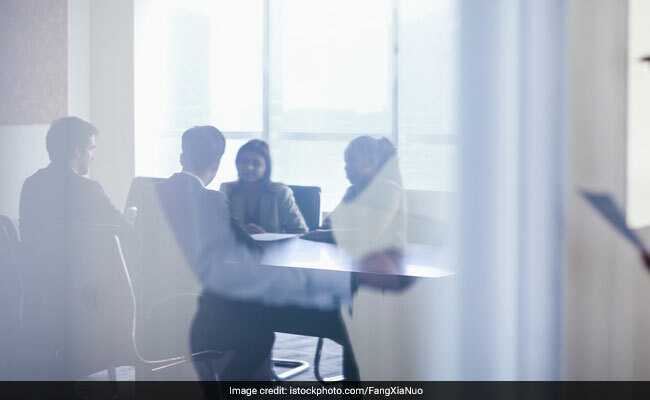 Further, the report stated that Andhra Pradesh is one of the preferred hiring destinations in India, which offers equal space to both male and female workers. The students from ITIs, polytechnic and engineering colleges are identified and ranked for their top skills, including work ethics, verbal communication, analytical and critical thinking, problem-solving, interpersonal skills, written communication skills. "The increase in employability in Andhra Pradesh is a good sign for the market. But we have a long way to go and entire ecosystem should focus on bridging the employability gaps, enhancing the talent pool thus taking measures from school level to professional level focusing on learning," said Founder and CEO - Wheebox, Nirmal Singh. "Educational institutes should work on the skills of students and they should be given a proper platform to explore and develop their skills as it would help them to follow a right direction towards their career," he added. The India Skills Report 2019 said that around 70 per cent of the youth face problem due to lack of professional guidance in finding desirable jobs that worth their skills. The report also highlights the fact that from FMCG to startups, every industry offers paid or unpaid internship programmes to youth. According to the report, a small percentage of students in all states have done at least one internship in the past twelve months. Another insight from the report shows that 80 per cent of assessed candidates are willing to explore internship opportunities as they believe that it would assist them in getting employed in reputed firms, whereas 85 per cent candidates feel they lack proper information or guidance to take a thought-out career decision. For the employability test, the team reached out to more than 3 lakh students across 29 States and 7 Union Territories. Moreover, the key sectors for hiring employees are artificial intelligence, design, analytics, research and development. The report also says that apart from domain expertise and skills, organisations usually prefer to hire those candidates who possess better communication skills and are willing to learn and adapt to changing business environment. Around 60 per cent recruiters feel that the right candidates are not available as many of them don't meet the required skills. The survey was conducted jointly by Wheebox, PeopleStrong, Confederation of Indian Industry (CII), and supported and backed by All India Council for Technical Education (AICTE), United Nations Development Programme (UNDP) and Association of Indian Universities (AIU).